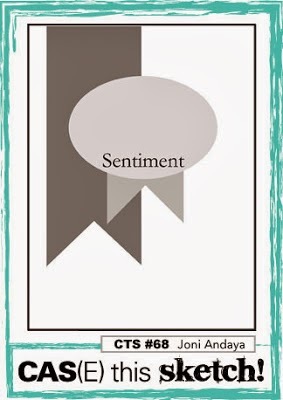 I thought this color combo and sketch were perfect for creating a masculine card. And the zig-zag drizzles on the treats in the inspiration photo reminded me of the Sketched Shapes stamp set from Papertrey Ink. What do you think??? I'll be mailing this to my brother, Steve, for the (ultra sneaky) role he played in my birthday surprises! Oh...and I have to tell you that I am IN LOVE with this Celery Pigment Ink from Avery Elle!!! I have been on the hunt for the perfect green ink, and I think I've finally found it! Hooray! Thanks for sharing about the green ink--good to know. 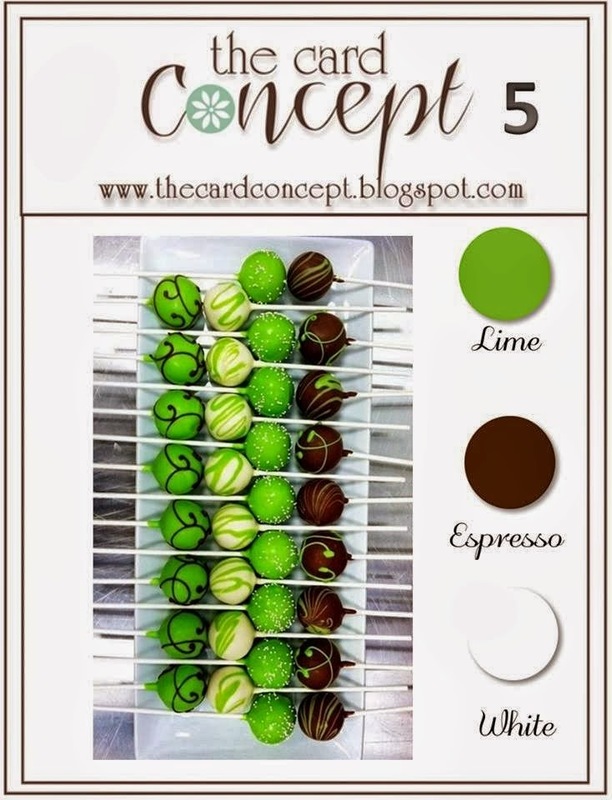 Your use of the sketch & colors for a masculine card is absolutely wonderful, Lisa! I have that PTI set on my wishlist--love the look here! 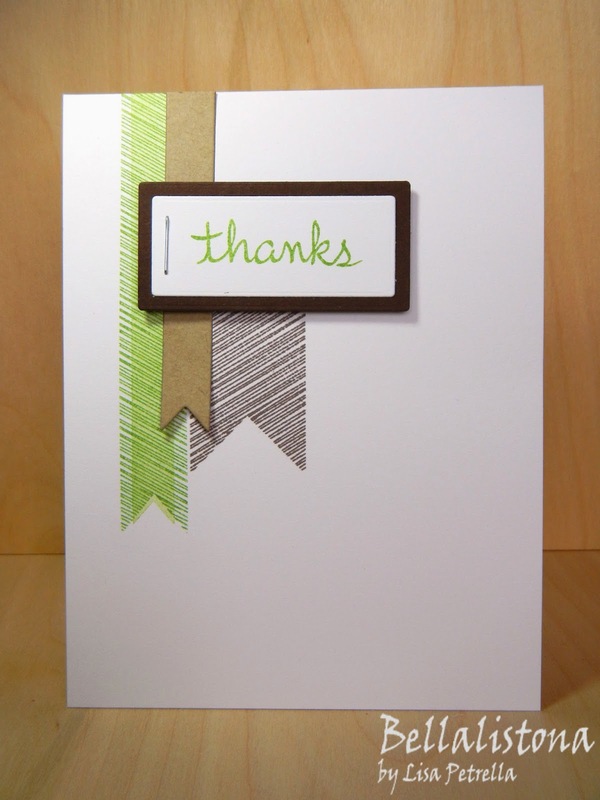 great take on the sketch.. fabulous card..
That is a fab green ink colour, and really makes your card pop. Fabulous card. I love the way you used the sketched banners. And that green really does look fabulous. I agree, great masculine card. Love how you used this week's colors. Thanks for playing along with us at The Card Concept. Perfect! Such a great guy card and I love those sketchy banners! Absolutely perfect! I love the way you interpreted the sketch and it's perfectly CAS!